Eating healthy and staying active are all the rage; yet tasty alternatives to processed snacks have been few and far between. Not anymore. Welcome to This Is Nuts – a brand new web shop that distributes high quality nuts, healthier snacks and natural sweets with no unnecessary additives. We have a wide range of delicious products in our web shop, and our line is expanding rapidly. Our nuts are truly dry roasted with no oil, a practice that originated in the ancient Middle East. This patented technique gives our nuts a distinct, authentic flavor. We sell cashews, macadamia nuts, almonds, pistachios, dried fruit and healthy seeds like chia and sunflower kernels. Our product line also includes sumptuous, Swedish-made natural sweets, as well as tasty basics like almond flour and coconut flour. We also have one-of-a-kind products that you won’t find anywhere else. You definitely need to try our müola – a unique blend of müesli and granola that is rich in protein and sweet berries. We only use wholesome, raw ingredients of the highest quality, and many of our nuts and seeds are organic. A win-win for your body and the environment! The vision of our founder, Ranja Maria Vardali, a personal trainer and entrepreneur, is to make nutritious, whole snacks affordable to everybody. It was her upbringing in rural Sweden and her passion for exercise and nutrition that inspired her to founding This Is Nuts 2012. The official launch of our web shop brings us a lot closer to our goal of encouraging a healthy and active lifestyle for all. 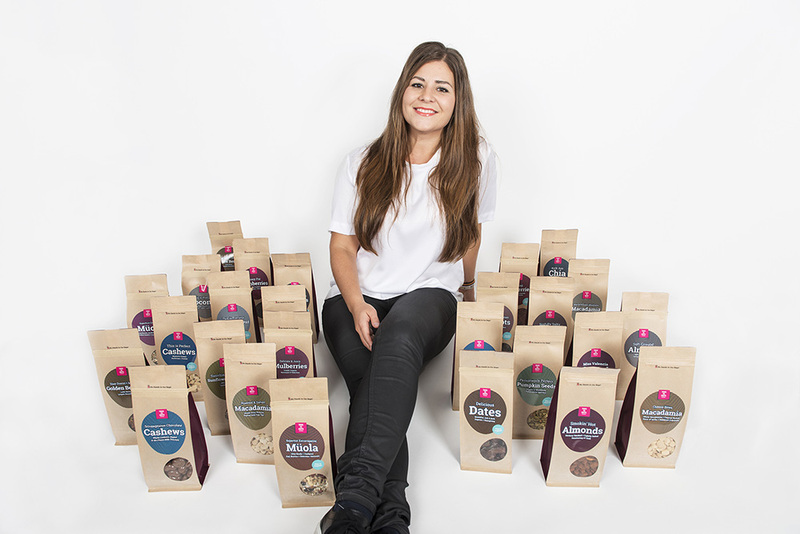 Our web shop makes it super easy to buy nuts online, and you can choose to have your products delivered straight to your door. Shortly we will also offer “nut subscriptions” for businesses and individuals alike, so that you can get a continuous supply of nuts and seeds. We want to become the one-stop shop for those who want to eat delicious snacks and feel good about it. When you buy from us you also have the chance to enter fun contests. Right now you can win a cool activity camp in Portugal. All you need to enter is a smart phone and some creativity! Read more about the contest here. Our motto is 100% pleasure, 0% guilt. Would you like to join us on our journey toward a healthier and more pleasurable life?